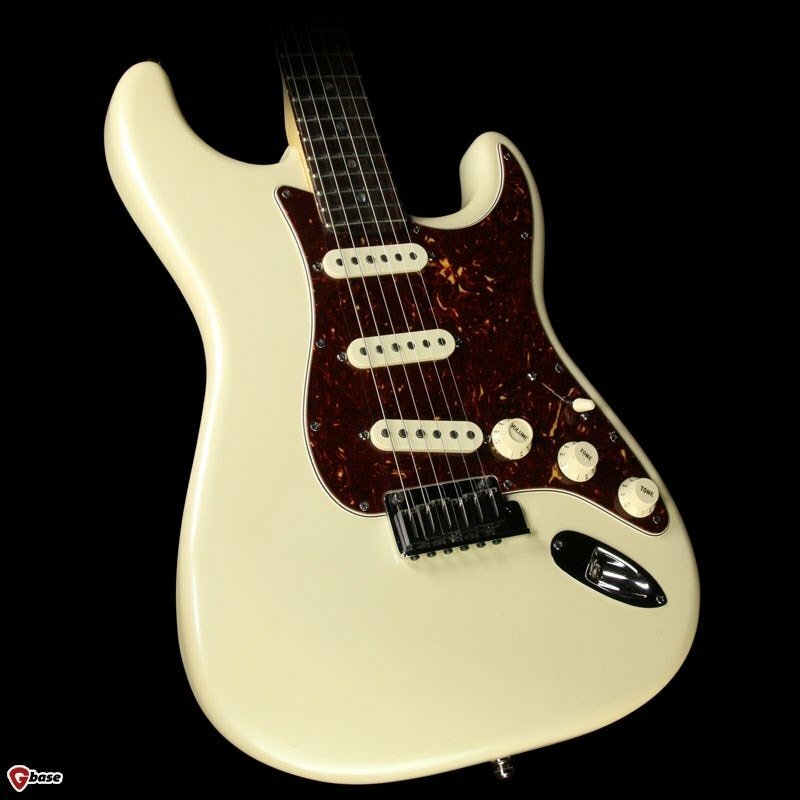 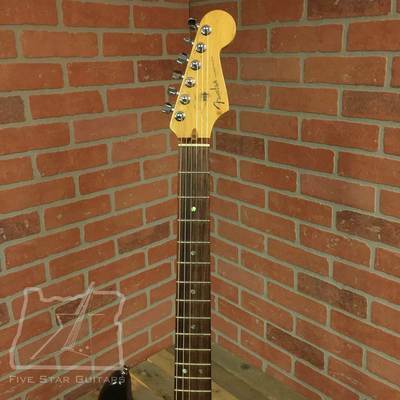 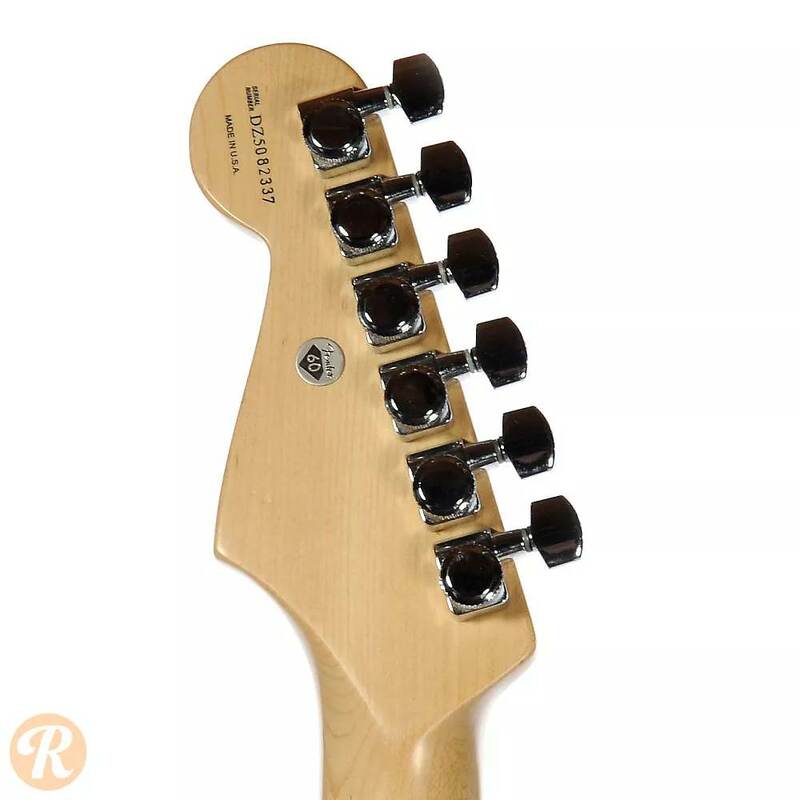 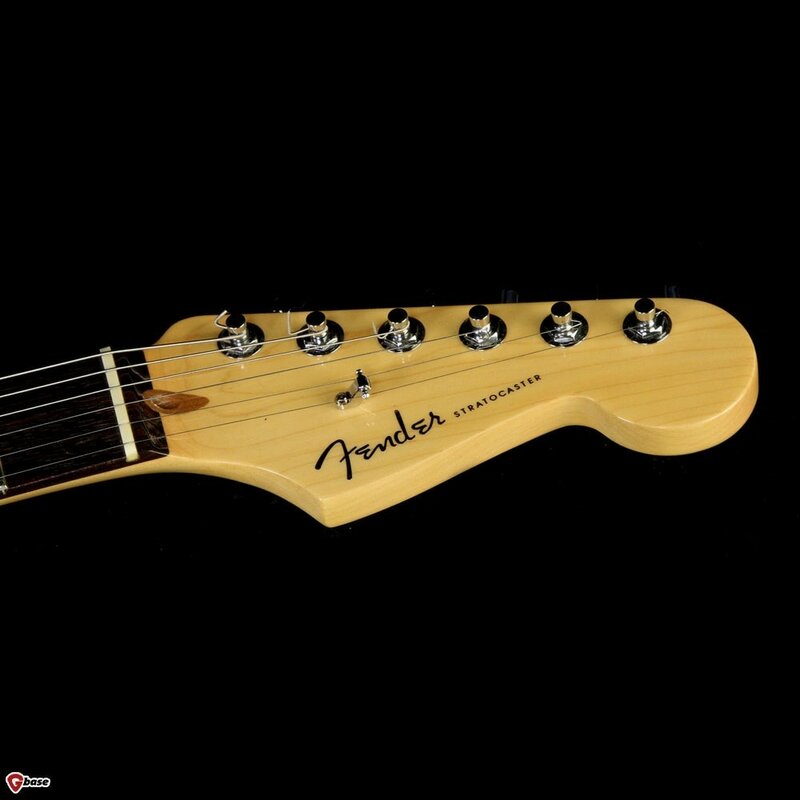 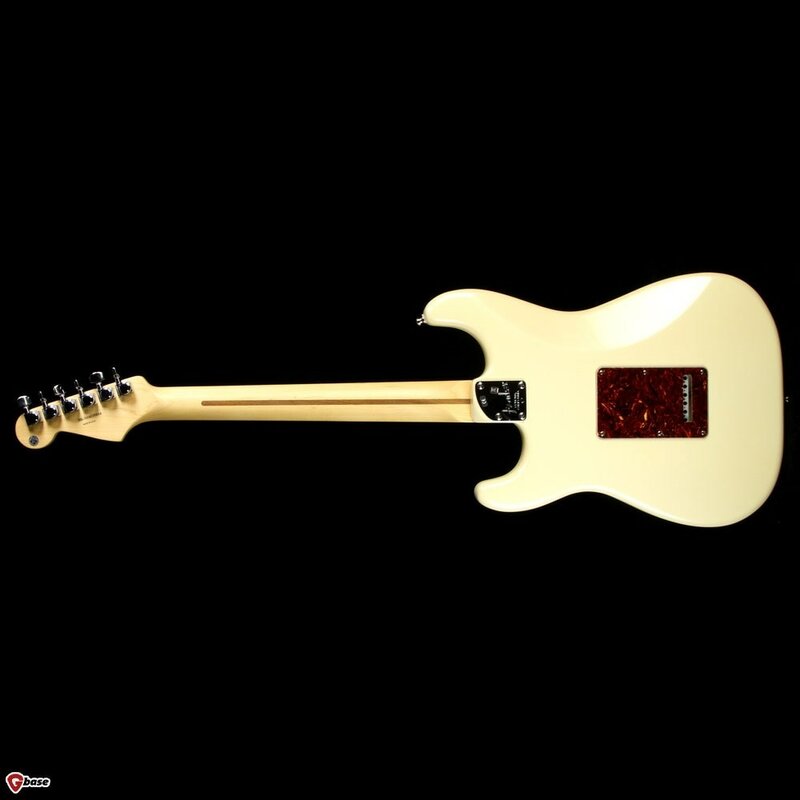 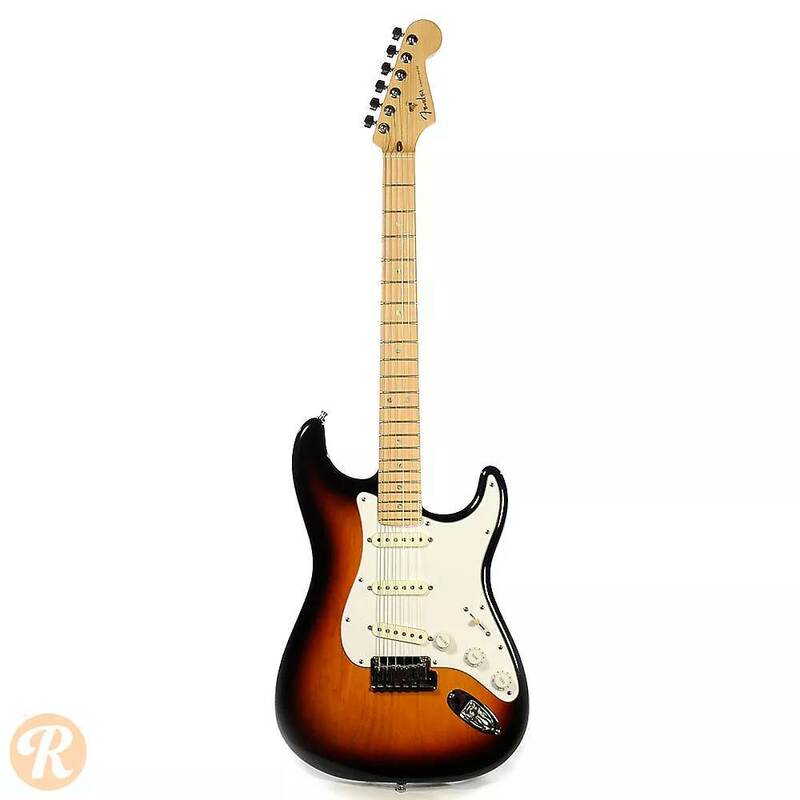 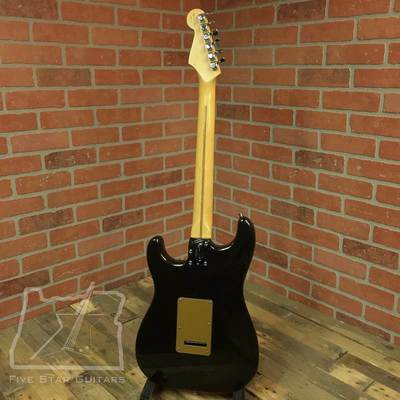 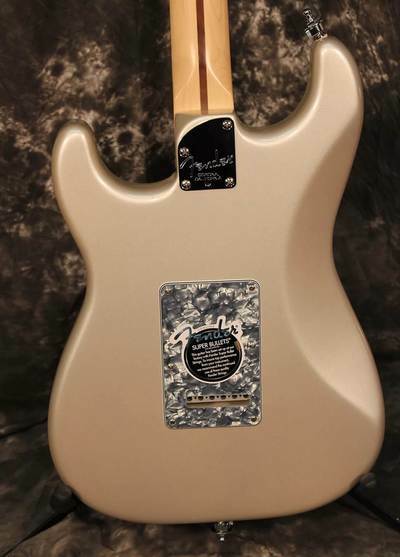 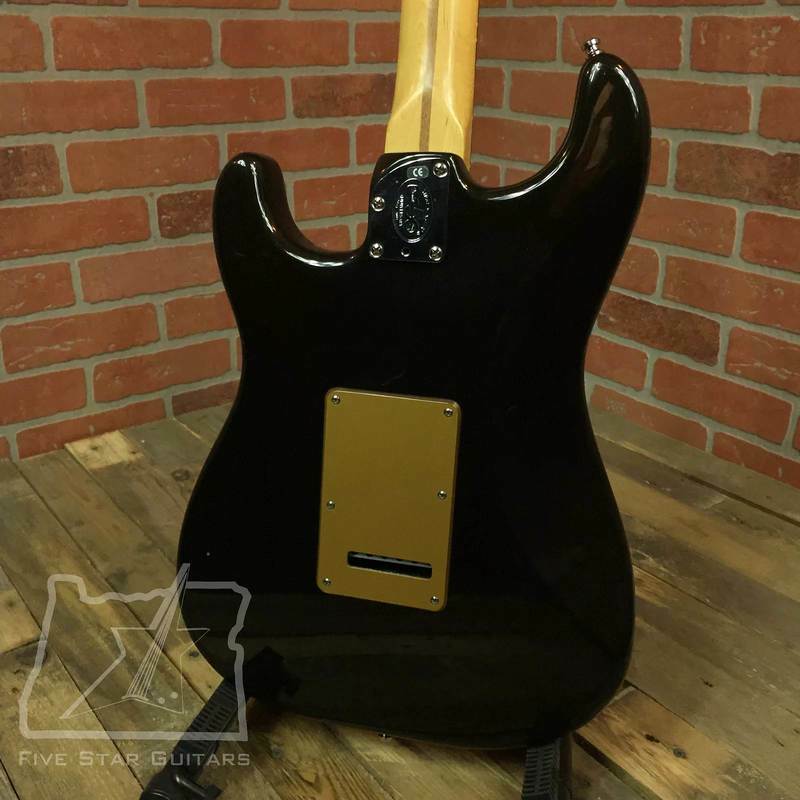 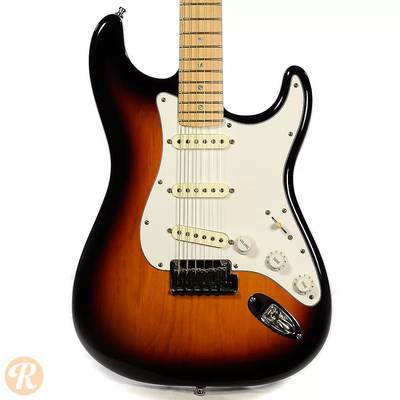 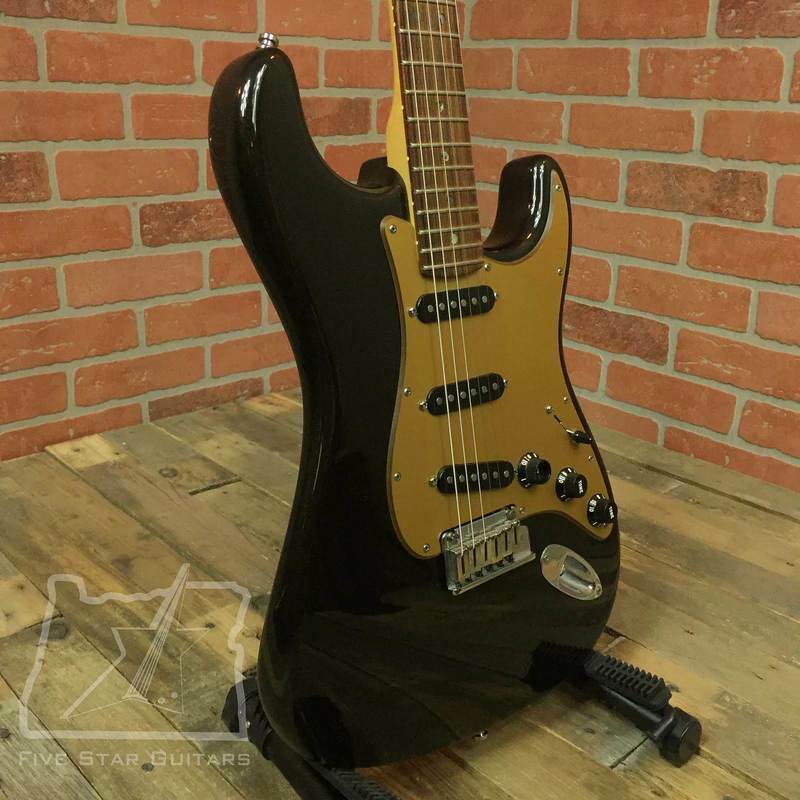 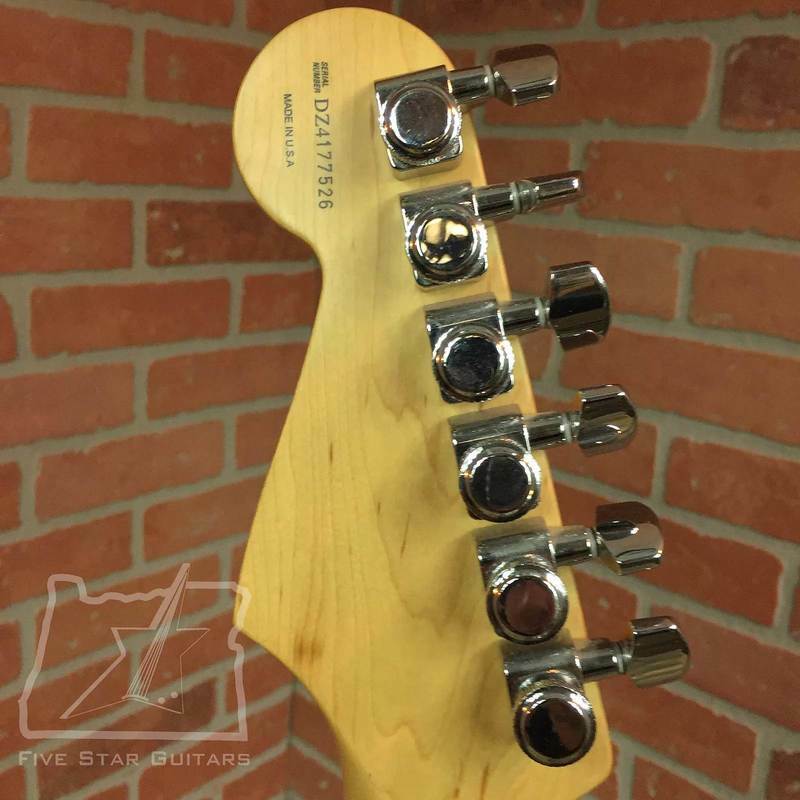 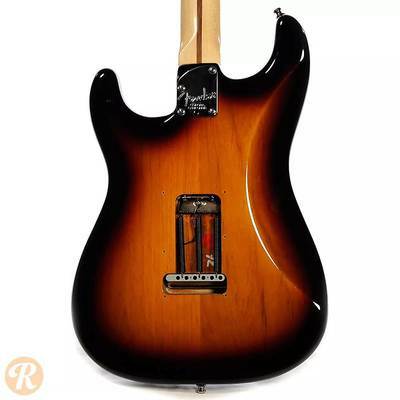 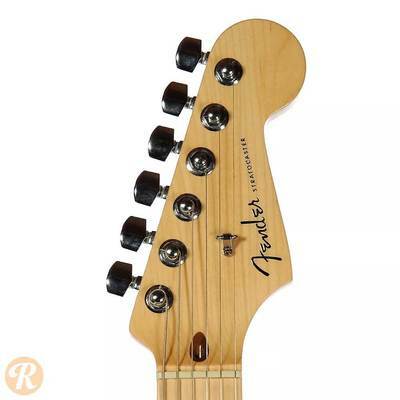 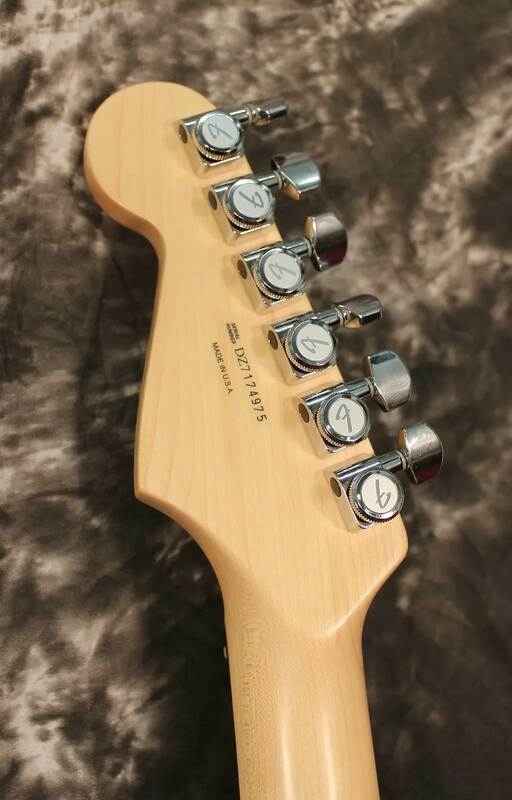 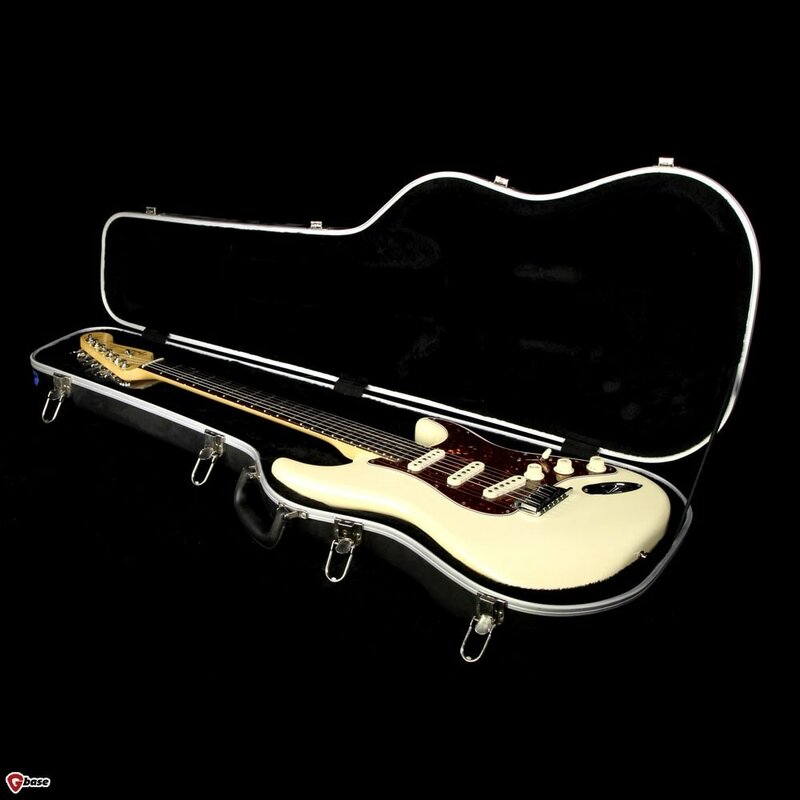 Neck Plate: 4-Bolt, Contoured Heel, "Fender CORONA, CALIFORNIA"
American Deluxe Series Stratocasters built in 2004 will have a special 50th Anniversary commemorative neck plate. 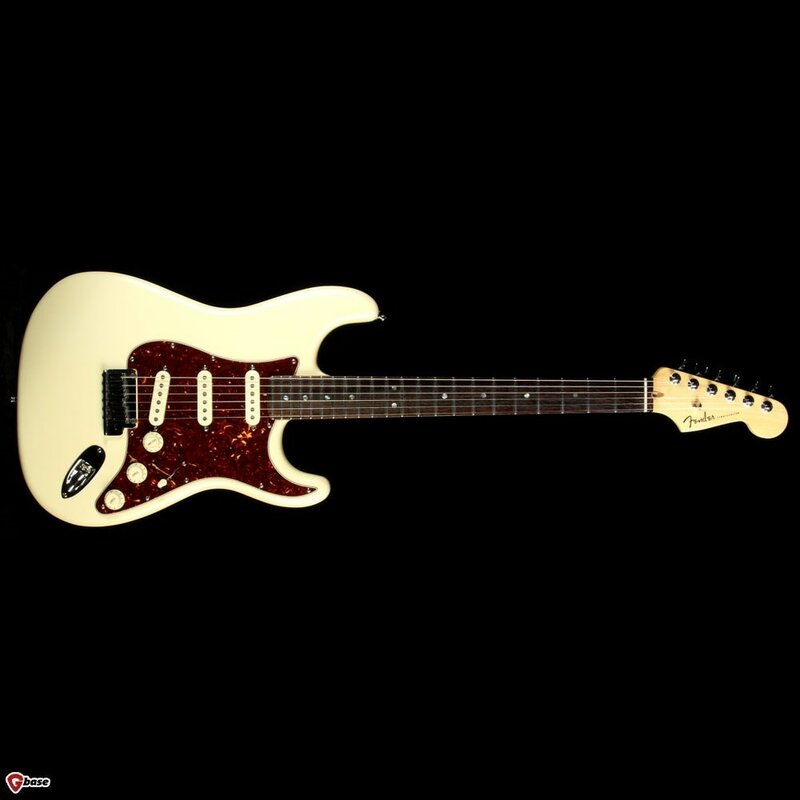 American Deluxe Series Stratocasters built in 2006 will have a special 60th Anniversary commemorative medallion on the back of the headstock. 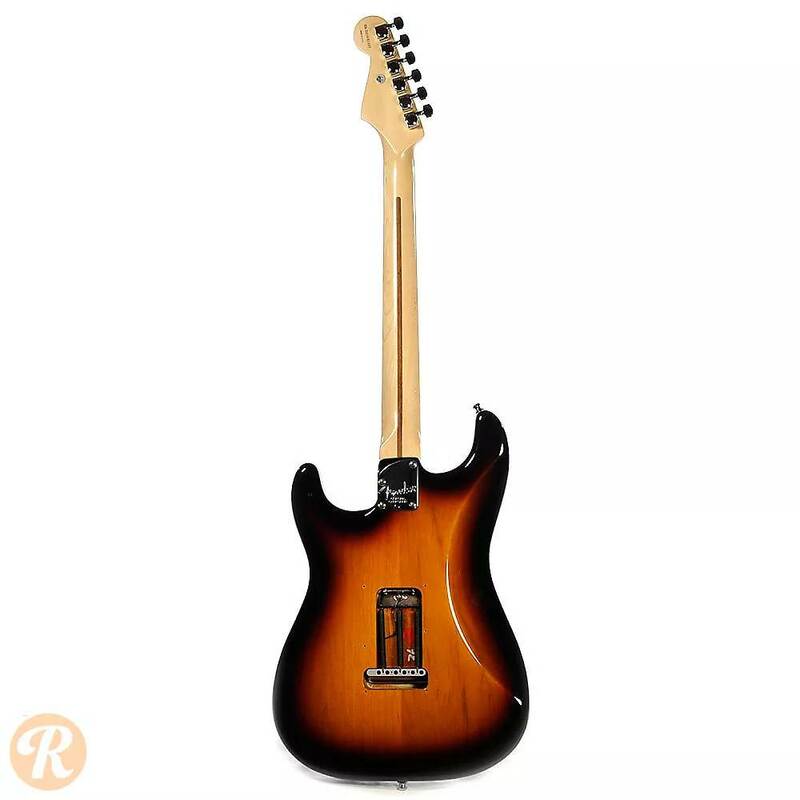 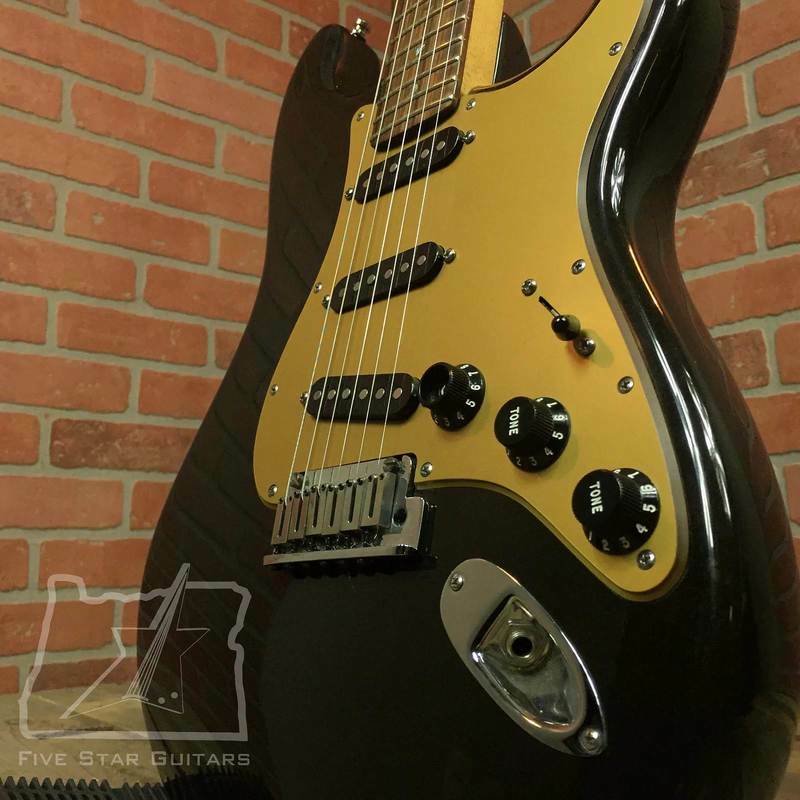 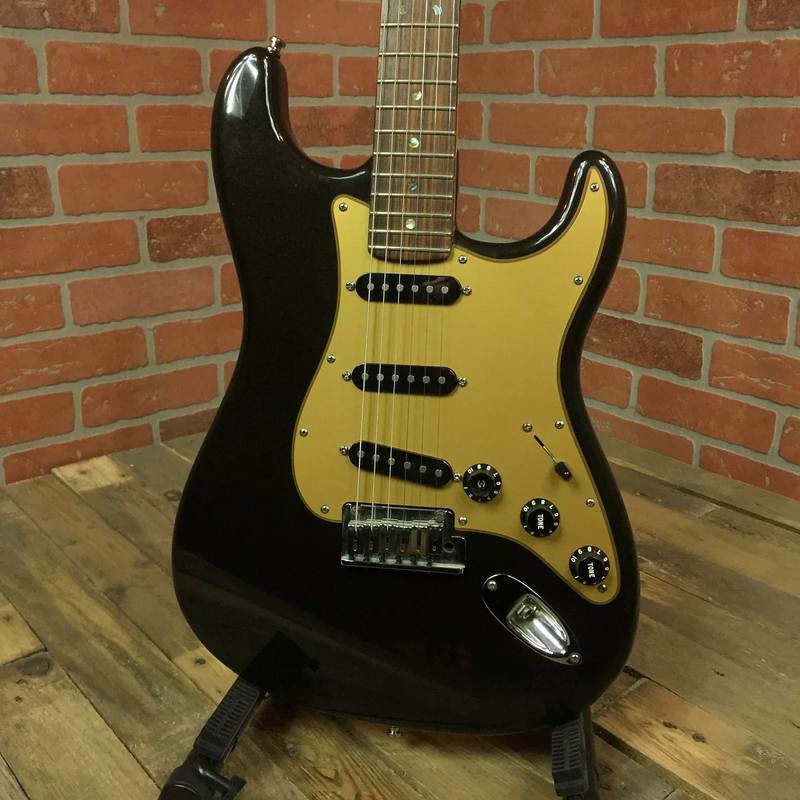 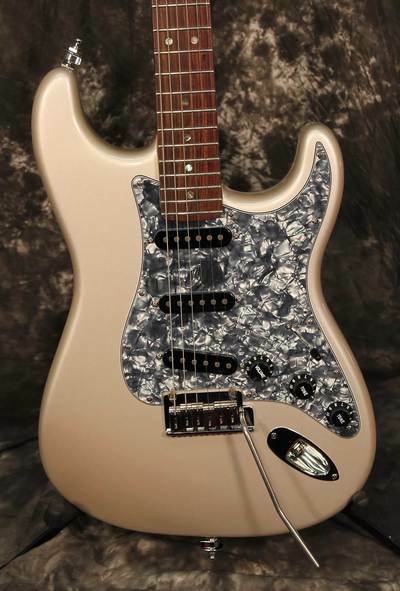 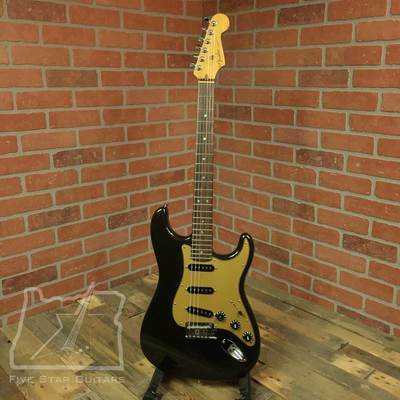 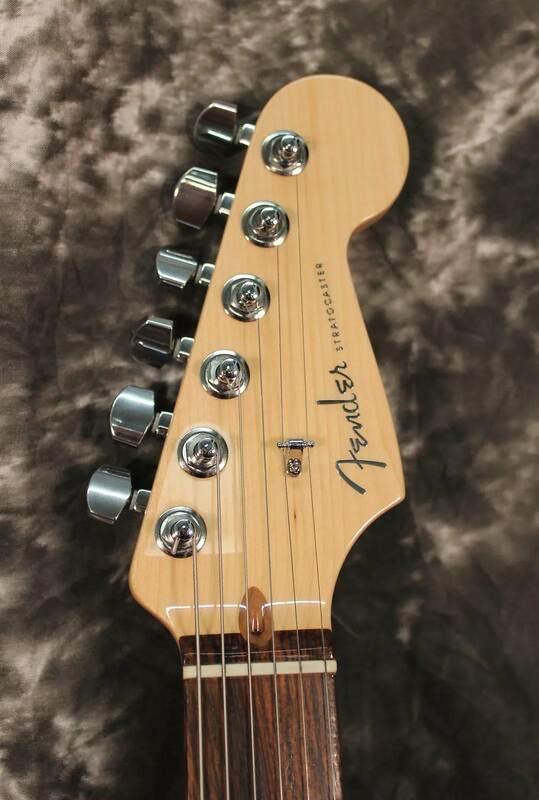 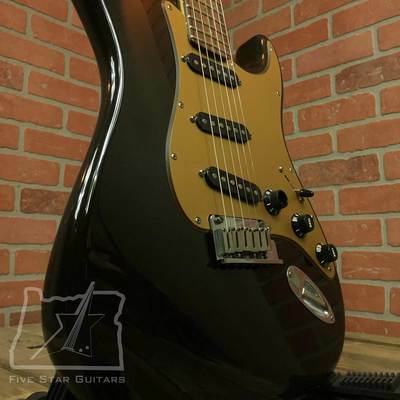 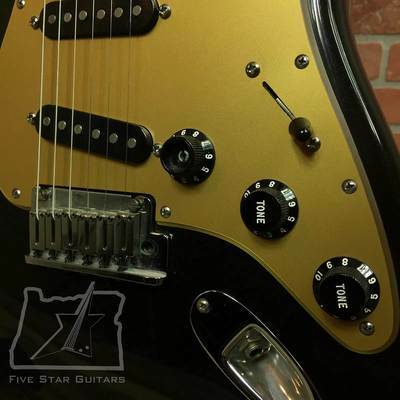 A few months after the S-1 switch upgrade was introduced on this guitar, the switching function changed on Position 3. with the S-1 switch down from: Middle Pickup in Series with Special Capacitor (No Tone Control), to the switching described above.